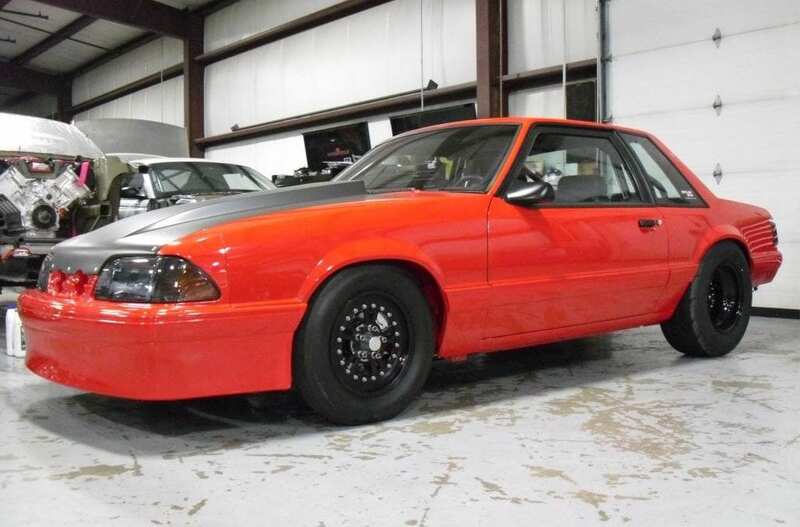 “1988 Ford Mustang notch. Car was built by DMC racing. SBF 347ci with all billet internals ,TFS heads, twin76mm turbos, custom behind dasher to water intercooler with rule pump, Rossler turbo 400 trans with pro torque converter, precision shifter co2 setup, mini tubs, limiters, strange coilovers, bs3 standalone, spaghetti menders wiring, built 8.8 with 5/8 studs 35 spline axels, Bogart wheels with 275 pro tires, Car has certified 8.5 setup with shoot. Car makes over 1300 whp.Car has many other good parts and is in near perfect condition.